Whew! Can't believe the weekend is over and our biggest party of the year is over and done. It was SO much fun, we had such a great group of people, such a fun crowd and just a good time overall. It was a late night for both the boy and I, and I am sure we will be playing catch up all week. Last night we were invited over to our neighbors for pizza on the grill, SO delicious, and they sent leftovers for lunch which was really nice! 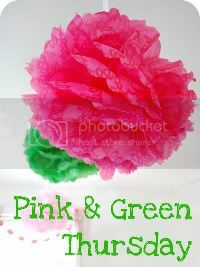 This week is a quieter week for us, which is nice, hoping to get some gifts wrapped and some errands around town done. Dinner - I took a beef roast out of the freezer and I am going to cook it up with the leftover veggies from the veggie tray from Saturday. Dinner - Our parents are coming for dinner after a play, Caesar Salad, Chicken Parmesan and spaghetti with broccoli and bread, still need to come up with dessert. 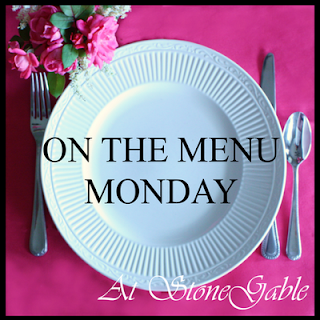 For more meal planning and links to recipes, check out the orgjunkie and Stone Gable. 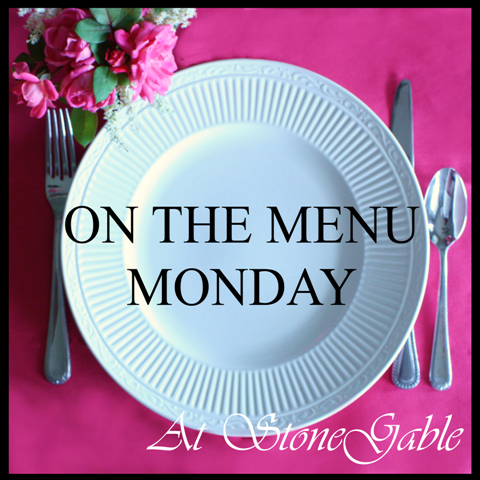 I'm making a blog visit from Organizing Junkie's Menu Plan Monday today. It's nice when someone else is doing the cooking. I have lots of chicken in the freezer so I'm always looking for tasty chicken recipes. It's a sunny and warm day in Las Vegas. I've been living on the West coast for 18 years. It's funny when friends, from Maine, will mention that they're shoveling snow I caught off guard. That's right, you're dealing with snow! Hope you have a wonderful and delicious week!